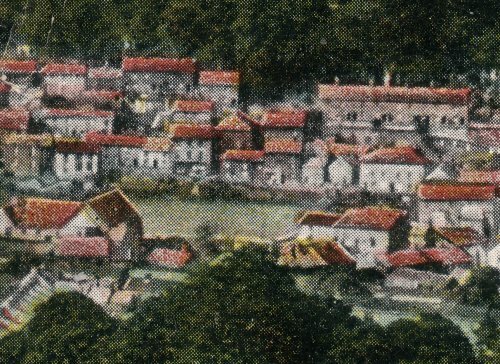 Posted 1909, Mount Tabor Chapel present. 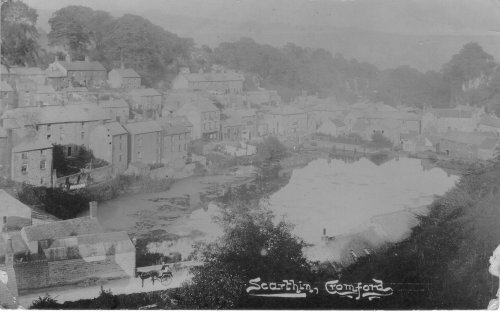 Here's an old postcard, poor quality but interesting. 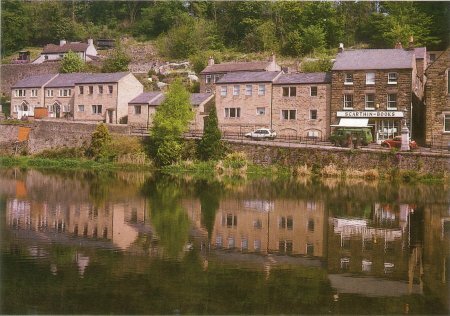 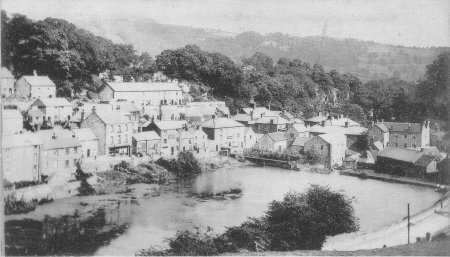 A small lake (strictly a dam) surrounded by old houses, near the centre of Cromford. 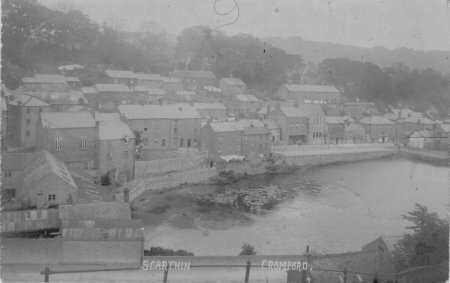 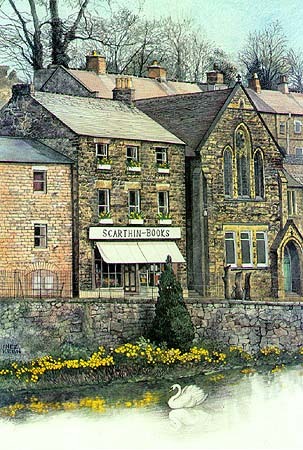 Today Scarthin Books is a fascinating bookshop, but the neighbouring buildings have changed intriguingly. 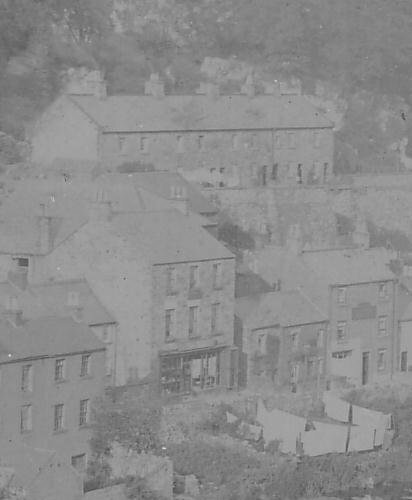 Where do they hang the washing now?